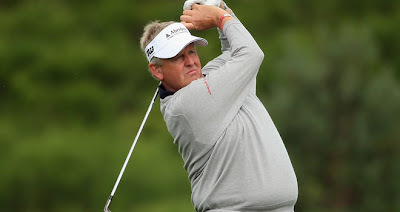 Colin Montgomerie has been named as one of four "seasoned" golfing professionals to be inducted into the Hall of Fame for 2013. The other's include Fred Couples, Ken Venturi, Willie Park Jr. and Ken Schofield. Montgomerie's position was announced by George O' Grady, The European Tour Chief Executive and Peter Jack, The Hall Of Fame Chief Operating Officer. Colin Mongomerie had one of the most exceptional playing records. Colin was unstoppable in Europe for about a decade from the early 1990's to the early 2000's winning on 31 time's in his career in Europe, which is a record by any British player. He has won 40 times worldwide. However, unfortunately he was not able to add the coveted major trophy to his list off success', Though he did have his chances' coming second 5 times, but let's not let that get us down. He has won an unprecedented 8 European Order Of Merits, with a string of seven consecutively 1993-1999. And even got to number two in the world at one stage. But the fact that you would imagine he hold's closest to his heart is his Ryder Cup record. He has been on eight side's and has NEVER lost a single's match. His record stand's at 20-9-7 coming in just 1.5 point's behind overall leader Nick Faldo. Montgomerie was also granted an OBE for his work in developing the game and representing his native Scotland to the highest level.